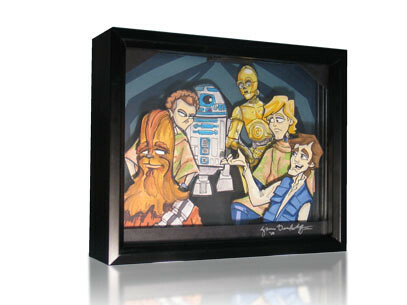 This new shadow box commission could be a companion piece to theÂ Falcon CockpitÂ commission I did last year! Â I had a great time putting it together and as always, am thankful and grateful that there are fans of my artwork out there. Â You too can commission a shadow box or some other original art work from myÂ online store. I can’t believe I know that. Well, I kind of can. Next story Star Wars Shop TOP 10!